Soon after the inception of the Golden LEAF Foundation, a series of grants provided steady support to North Carolina’s new wine industry, helping grow opportunities in a region seeking to replace critical tobacco revenue. Converting farmland into vineyards offered a promising transition to the Yadkin Valley region that needed support to develop equipment and educate a workforce in this emerging industry. The Foundation dedicated approximately $500,000 through a series of five grants to Surry Community College starting in 2000 through 2005. 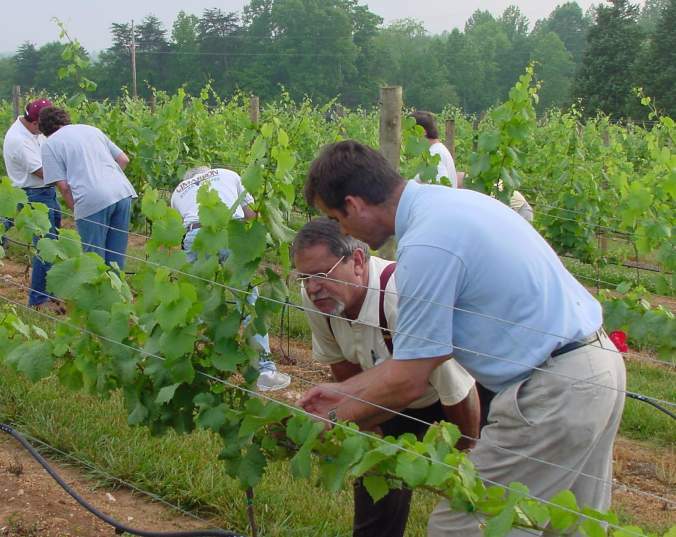 The grants concentrated in the Yadkin Valley region aimed to build a workforce in a variety of ways including training in viticulture, the cultivation of grapevines, for students of the community college and remote training access across the state, enhancing faculty expertise on the topic and building a research vineyard for Western NC. Grants also targeted regional farmers transitioning into wine grape production with classes and specialized technical assistance needed because the industry was new to many local residents – even those in the farming community. As of 2018, there are more than 70 wineries in the Yadkin Valley region. Across the state, Golden LEAF has provided a total of 10 grants to support the wine industry – totaling more than $1,250,000. According to a 2017 NC Department of Agriculture economic impact study, the industry has grown to almost $2 billion annually and paid $375 million in wages in 2016 – up an impressive 44% in three years. It’s a success story for the state as well as the Foundation: identifying a community that needed to offset losses from tobacco revenue by identifying a promising new industry and investing in infrastructure and training to create jobs for current workers and future generations.